LinkedIn is a powerful social media network to connect with others in your industry. It’s even a good place to find potential clients in your target audience. Because LinkedIn is so powerful, you’ll want to reach LinkedIn profile perfection to master your small business online brand. 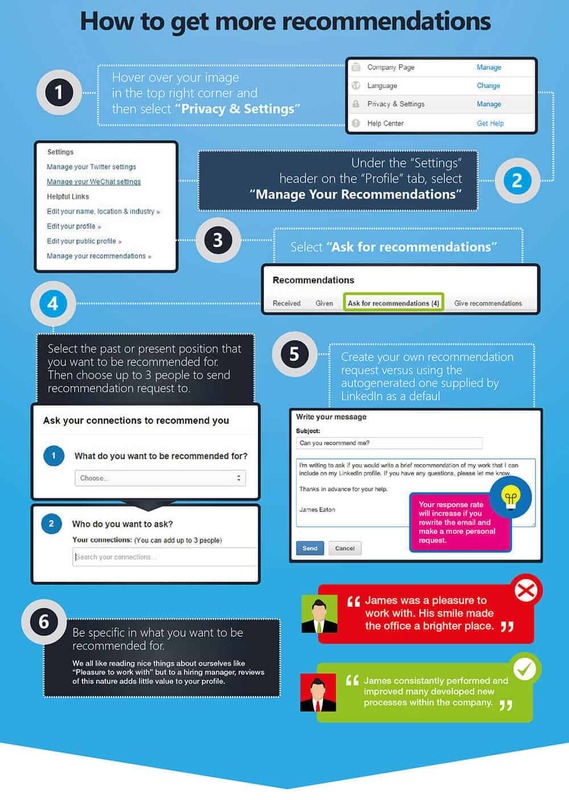 I recently ran across an infographic that will help you set up your personal LinkedIn profile. I wanted to share it with you because as a small business owner you represent your small business. Before sharing the infographic I want to cover some of the reasons why your personal profile is so important to your small business. You probably already have your personal LinkedIn profile set up but is it set up to achieve LinkedIn profile perfection? Probably not if you’re anything like me. Hopefully you also have your small business LinkedIn company page setup also. That’s an essential part to taking advantage of LinkedIn for your small business and your personal profile will link to it. Your personal LinkedIn profile is a gateway to building your small business on LinkedIn. Connecting is the first thing your profile will help you do. The most important parts of why LinkedIn is beneficial to your small business is because it lets you connect. LinkedIn makes it easy to connect with past colleagues, new business partners, and meet people who you could have a beneficial relationship with. LinkedIn is made up of over 467 million professionals who are business oriented. There are a lot of opportunities for you to connect with business minded people on LinkedIn internationally and in your local neighborhood. Who you know is huge part of how well your business does in the early years. It’s not what you know, it’s who you know. That’s the unfortunate reality we live in so you have to play the game. Making connections will help you get things done, find new clients, and find groups on LinkedIn that will help your company grow. That brings us to the next benefit of your personal LinkedIn profile, groups. Making new connections on LinkedIn revolves around either who you’ve known from previous companies or from networking events or groups. Groups are a spectacular way to meet real people who you could have a mutually beneficial relationship with. So why is your personal LinkedIn profile so important to groups? You can’t participate in groups with your LinkedIn company page. You have to participate in LinkedIn groups on a personal level so a well manicured LinkedIn profile is necessary. LinkedIn without groups is like milk without chocolate. You can drink it but it won’t be nearly as good. The trick with groups is to find the right one(s) that will help connect you with people you can benefit and who will benefit you. That doesn’t mean you’re going to find your customers hanging out in groups, though. It may be that you find a group that is active (and not full of promotions) on a topic that complements your industry. Perhaps even you find a group that is directly related to your industry. A group directly related to your industry is beneficial because you get to meet others who do the same thing as you. Opportunities often arise for you to work together with people you might normally see as competition. If you don’t look at somebody as competition then they become an opportunity. Your personal LinkedIn profile will help you make good connections and have great conversations. It’s an important part of representing yourself professionally online. When you own a small business you’re usually the main or even only representative of it. Working towards LinkedIn profile perfection will make sure you’re representing yourself and your small business brand the best you can. Your profile sets the stage for the rest of your small business brand so you want to make sure you’re taking advantage of it. Your clients and industry colleagues will find you on LinkedIn often before they find your business or website. You want to make sure you’re setting the stage for the amazing experience you want people to have when they encounter your small business online. Your personal LinkedIn profile is the starting stage of a relationship in many circumstances which is the beginning of a funnel. Your LinkedIn profile will be the starting point of many professional relationships you have online. That’s a great opportunity for your small business but you don’t want it to stop at just meeting online. By making sure you set yourself up for LinkedIn profile perfection you’ll have a good starting point to bring new connections beyond just meeting you. A well setup LinkedIn profile will make sure there’s a way for your new connections to learn about you and more. It’s nice if you can offer them something more than just a connection. A feed with great information on it is helpful and will help people understand what you’re all about. Your feed will also lead them to great content that you’ve written yourself which of course you’re sharing with your connections. Social media is a confusing marketing funnel and that’s why it’s important to perfect each piece of it one at a time. Your LinkedIn profile is a great place to funnel people into seeing the amazing work you’re doing with your small business. It will lead you to building stronger relationships and with stronger relationships comes clients and referrals. Once you have LinkedIn profile perfection, you also want to make sure you have something wonderful for people to see that’s not on LinkedIn. That means your small business needs a beautiful online brand that works to bring new customers to you. If you’ve already started building your online brand, great, you’re on your way. It might be a good time to see if you’re on the right track, though, and what you can do to improve your online brand. I will give you a free personalized Online Presence Report that will help give you a path to a successful brand online. If you haven’t really started building your brand online, that’s ok too. There’s a time and a place for everything. It may be a good time to start the discussions and learn about what’s involved in building your brand online. There are tons of resources on The Online Presence Blog and I’m always available for a conversation. Now it’s time for you to set up or fine tune your personal LinkedIn profile to make sure you’re achieving LinkedIn profile perfection. This amazing infographic from Leisure Jobs will help you along the process. Making sure you have the right size images. Hidden features that will help you take advantage of LinkedIn. 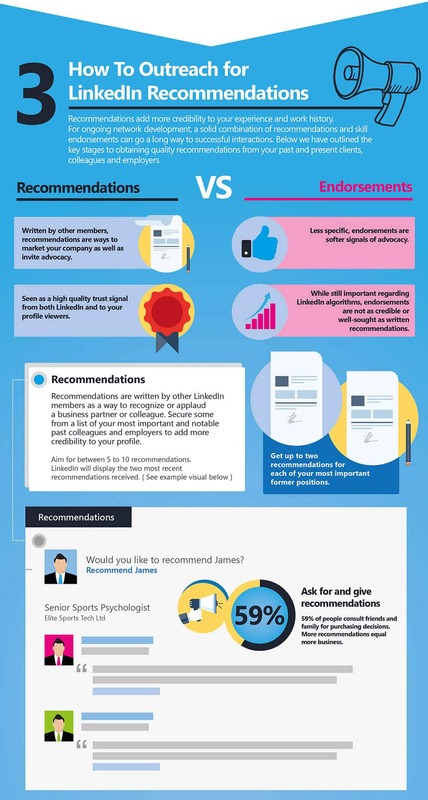 The anatomy of the perfect LinkedIn profile. 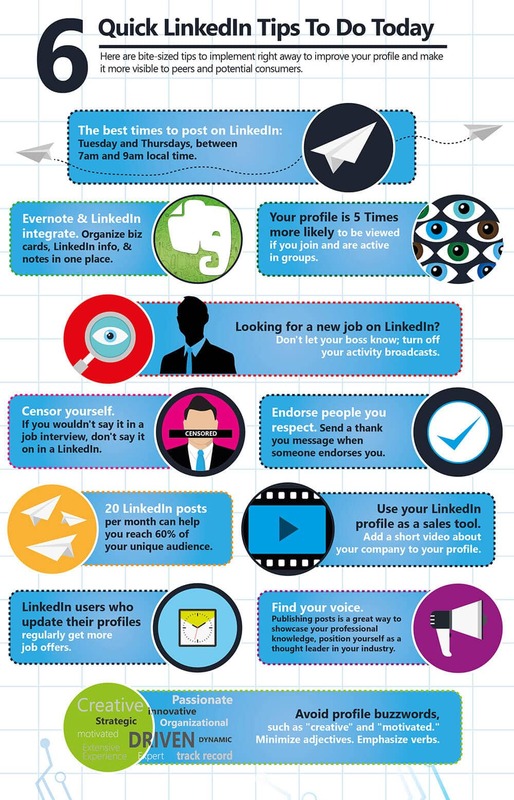 Quick tips to do daily on LinkedIn. Keeping your profile secure (this one is extremely important to your brand!). 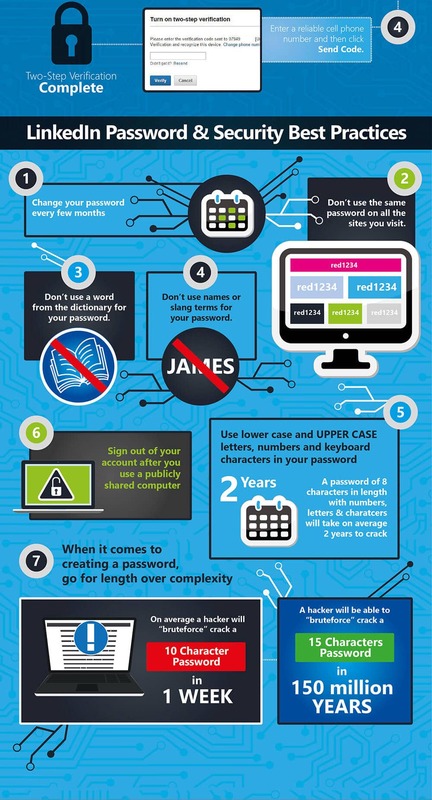 That’s a lot to learn and check out but I recommend you save this infographic and take some time to review and do each part. There infographic is divided into several different images because it covers so much ground. That does mean you can share or save only one part, though. Enjoy the infographic and let me know if you have any questions!